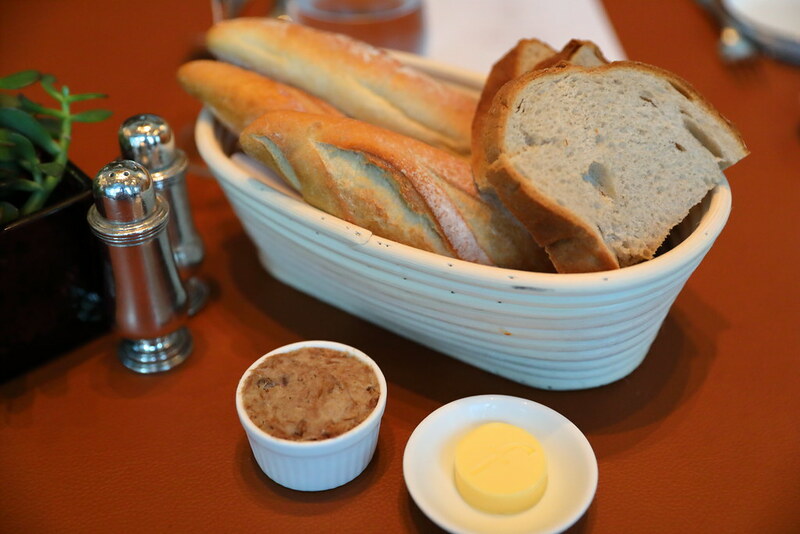 I felt quite embarrassed that I have not known of La Brasserie at The Fullerton Bay Hotel until my recent visit. The restaurant located at the marina bay waterfront has undergone a revamp of its interior as well as a refreshed menu. 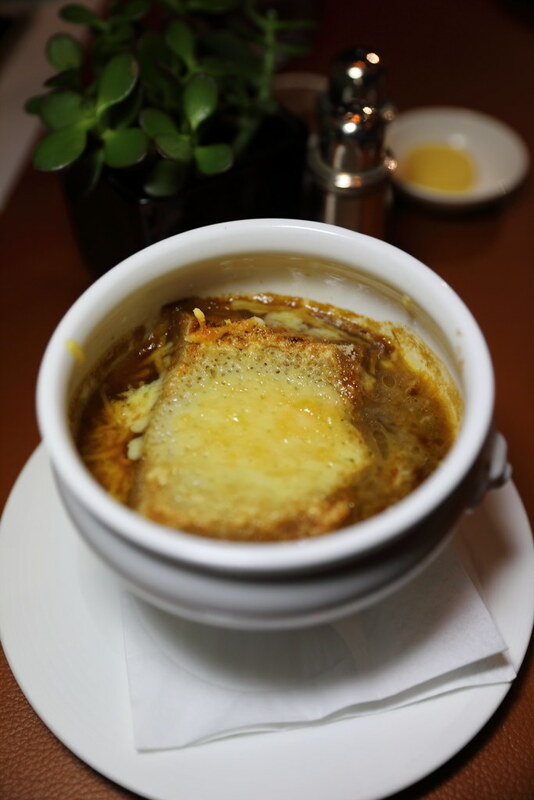 The body of the Traditional Onion Soup ($19) comes from the robust beef stock that has been cooked for at least 4 hours. The caramelized white onion lent the sweetness to the soup. Before serving, the soup is topped with a day old sourdough with gruyere cheese that is gratinated under a salamander. 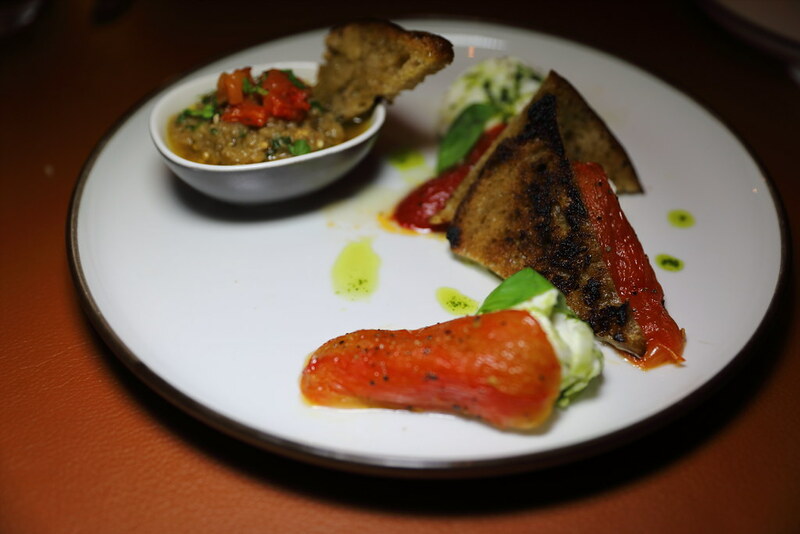 Our appetizer started with the Aubergine Caviar Tartine ($19). The whole eggplant is first baked until charred, removed the skin and the flesh is mixed with chopped fresh Roma tomatoes, garlic, parsley, basil and extra virgin olive oil. This paired beautifully with the tomato confit and buffalo mozzarella. 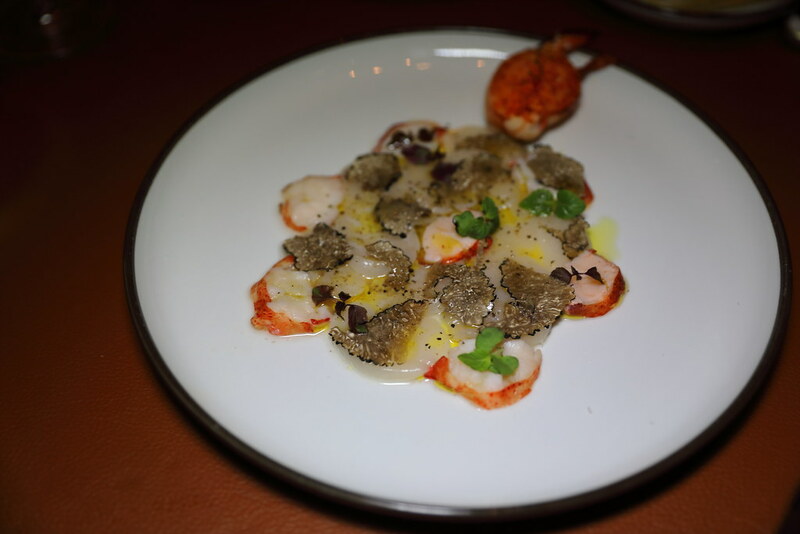 The Lobster and Scallop Carpaccio ($33) is a dish as old as the restaurant. 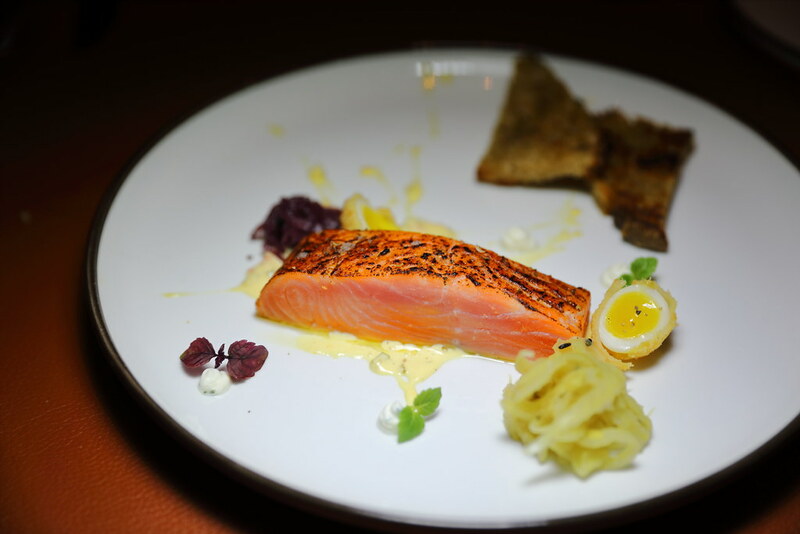 It was created by the General Manage of The Fullerton Heritage since the restaurant opening in 2010. The thinly sliced boston lobster and hokkaido scallop seemed to come to live in the black truffle oil and fresh lime juice dressing. This is crowned with black truffle shavings. Love the smokiness of the Hot-Smoked Balik Salmon ($21). The whole New Zealand king salmon is cured with salt and smoked over Japanese binchotan charcoal, sous vide and torched. This is complemented by the fennel, red onion compote, dill, creme fraiche and quail egg. 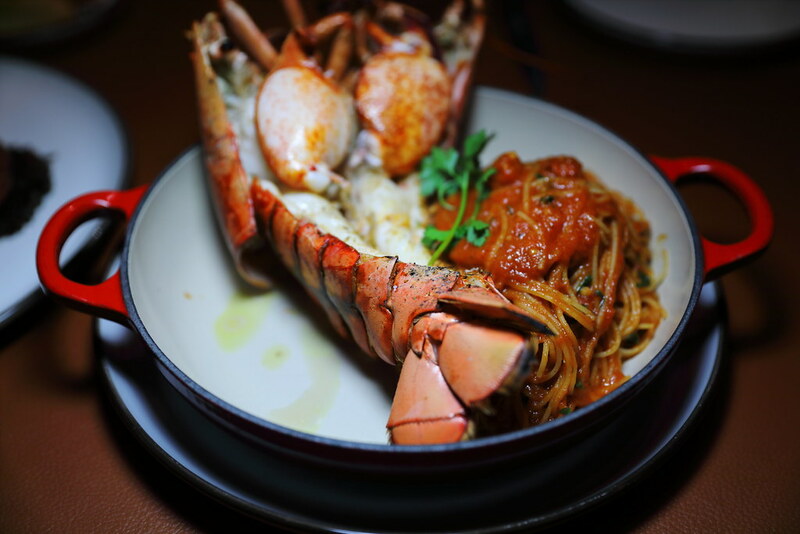 One of my favourite dishes is the Lobster A L'Americaine ($68). Done in two ways, the lobster claw is blanched while the remaining parts are poached. The highlight for me is the angel hair pasta that is tossed in fresh tomatoes sauce, finished with butter and extra virgin olive oil. Good for sharing is the Cote De Boeuf ($99). 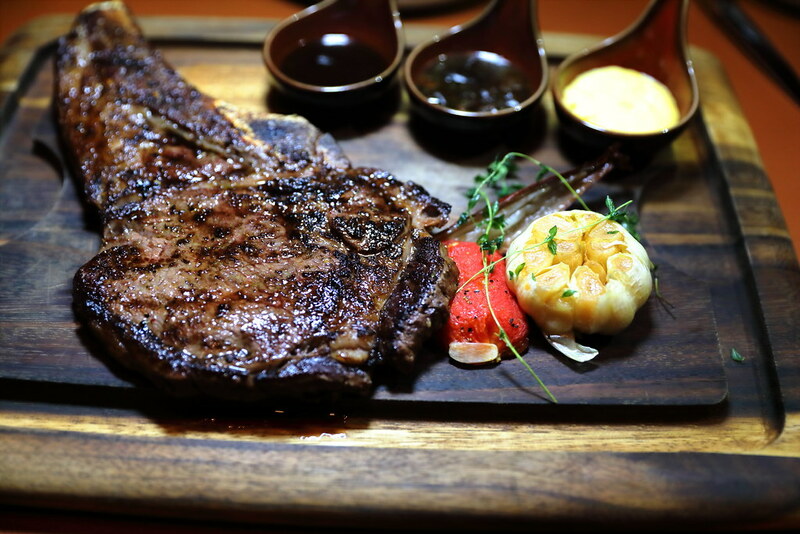 The 500g Australian A4 Wagyu ribeye on the bone is charcoal grilled and basted with thyme butter. A beautiful piece of meat cooked to medium rare doneness. The steak is accompanied with bearnaise, champignon and bordelaise sauce. Definitely one of the better duck confit I have eaten for a long while. 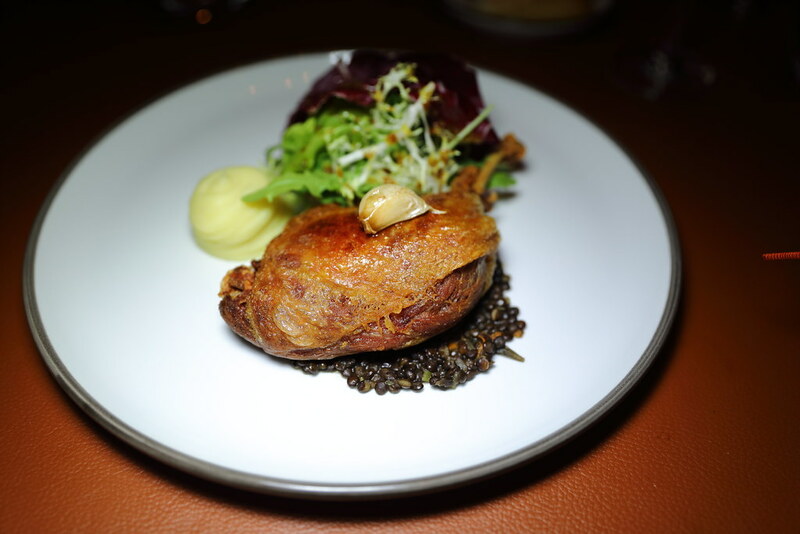 The Supreme de Canard Confit ($39) uses French duck cooked in the traditional way. The duck leg is cured for 4 hours, confit for anther 2-3 hours. A bed of lentils, slow cooked with garlic, carrots, celery, shallots, thyme and sherry vinegar completes the whole experience. 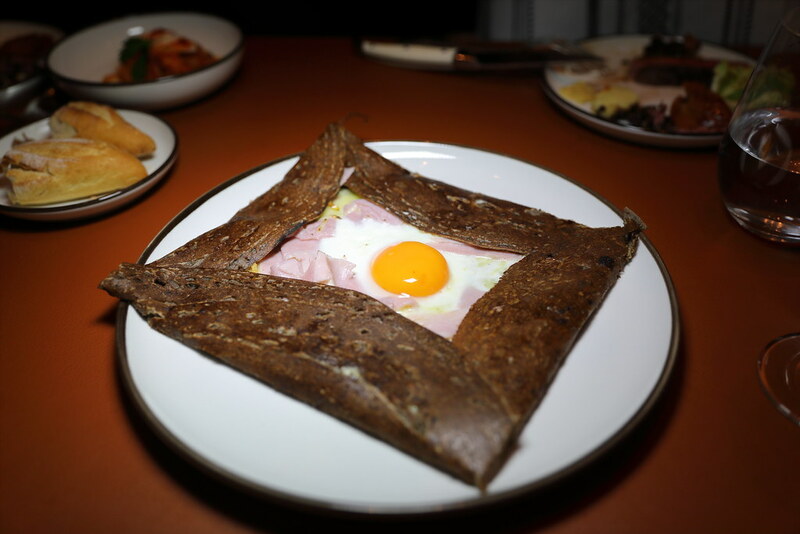 The La Complete Galette ($23) was rather interesting using buckwheat batter to make the crepe. The gluten and diary free buckwheat crepe comes with honey baked ham, gruyere cheese and free range egg. Surprising the crepe has a nice crispiness to it. Understand this is because of the beatened eggs and soda water that were added to the batter. 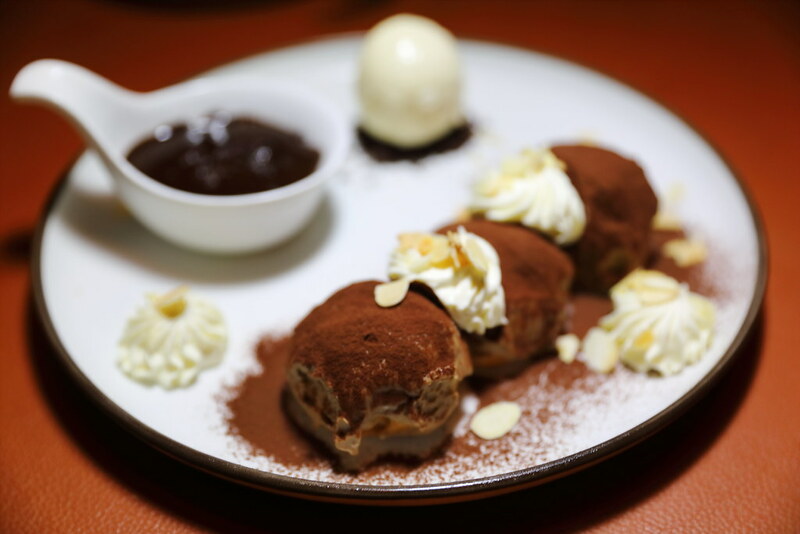 Do save some space for the dessert at La Brasserie. I would highly recommend the Profiteroles ($13). The choux pastry is coated with chocolate and filled with creme patissiere, It is then topped with chantilly cream and sliced almonds. It also comes with a bowl of warm chocolate sauce and vanilla ice cream. 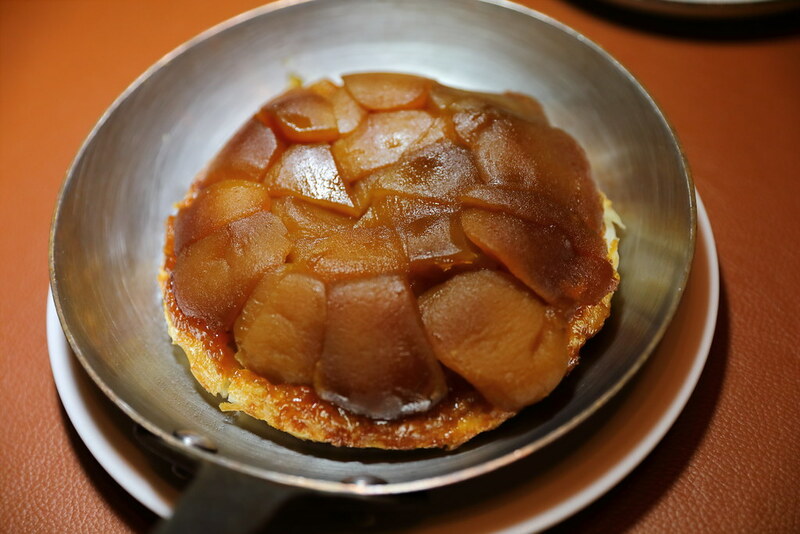 If you have a group of friend, I would recommend the Tarte Tatin ($32) which can serve up to 4 person. Granny smith apples are baked with caramel and topped onto a housemade millefeuille. Each guest also gets a scoop of vanilla ice cream to go with the tarte tatin.